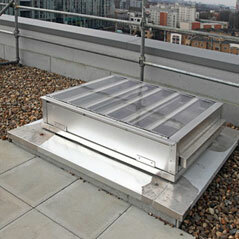 Be Safe Direct provides mechanical smoke ventilation systems that can save you both money and time. 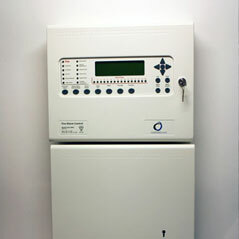 The type of smoke venting system that you require is determined by several factors, however the purpose of a well-designed smoke ventilation system is always the same; protecting escape routes such as corridors and staircases to allow occupants to escape while providing access for the fire service. What is Mechanical Smoke Ventilation? At Be Safe Direct, Mechanical Smoke Ventilation Systems are amongst our most popular offerings, and for good reason. 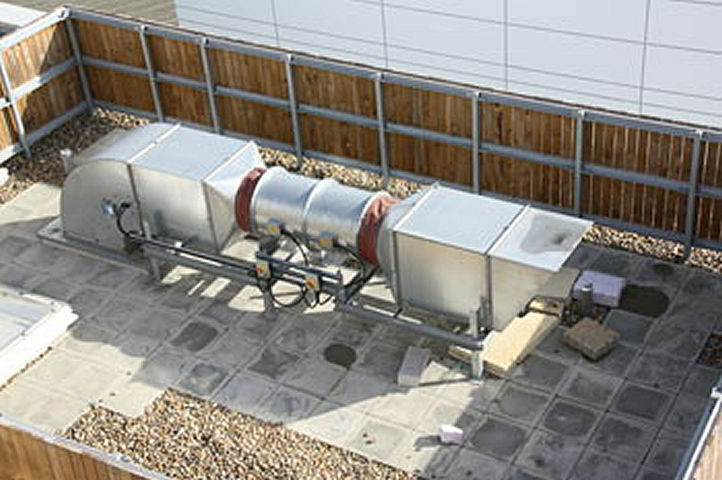 Providing an alternative to natural smoke ventilation systems, mechanical systems use powered fans to remove smoke from a building to provide a means of escape for occupants and access for fire-fighting services if a fire should occur. A typical Be Safe Direct mechanical system consists of a vertical mechanical extract shaft that serves a building’s common corridor and/or lobby. If smoke is detected within one of these areas, the fire damper to the smoke shaft on the affected floor(s) will open, and the fan at the top of the shaft will activate to extract the smoke. 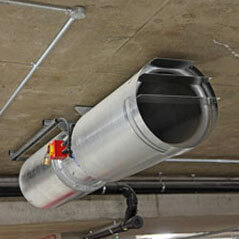 Mechanical Smoke Ventilation Systems offer a number of unique advantages compared to their natural counterparts. 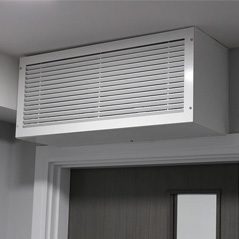 As these systems utilise powered fans they can offer greater efficiency and controllability than natural systems, which rely on natural airflow to remove smoke from a corridor or lobby. 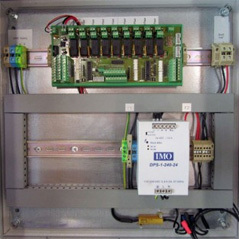 Why Choose a Mechanical System? 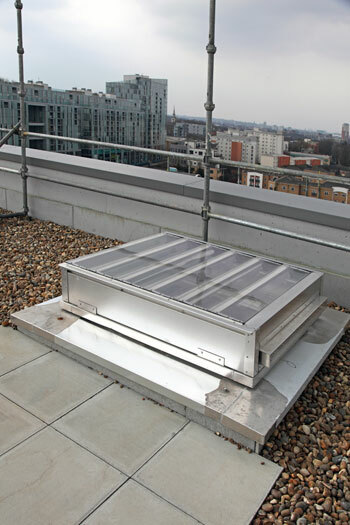 These qualities make Mechanical Smoke Ventilation Systems ideal for use in buildings that are more than four storeys in height (or which include a floor over 11m from the access level), where travel distances would usually be restricted to 7.5m under BS9991: 2011. 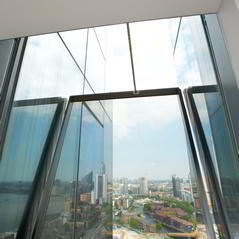 These smoke ventilation systems also allow the inclusion of larger open spaces, and the smaller smoke shaft sizes (as small as 0.5-0.6m2 compared to natural systems’ 1.5m2) also mean that mechanical systems are ideally suited where saleable space is at a premium. 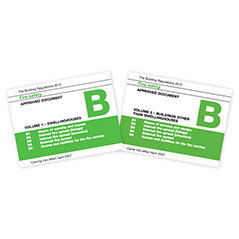 While Natural Smoke Ventilation Systems are the primary focus of BS9991:2011 and the Approved Document B, the Standards also recognise the use of mechanical systems, provided they offer the same performance as a 1.5m2 natural system. This must be proved on a case-by-case basis, with the use of mechanical systems being referred to as an ‘engineered’ rather than ‘code-compliant’ solution. This is usually achieved through the use of Computational Fluid Dynamics (CFD) Modelling, which involves the creation of a digital model of the building in question and visualises the movement of smoke and heat through the property in the event of a fire, as well as modelling the effectiveness of the proposed smoke ventilation system. The data provided by this simulation can then be submitted to Building Control to justify the use of the Mechanical Smoke Ventilation Systems. As your system requirements will vary depending on the design of your property, Be Safe Direct can work with you to design a system that suits your needs, and provide a competitive quote including all relevant products and services. As well as supplying Mechanical Smoke Ventilation Systems, allowing you to install the units yourself – or have a chosen contractor carry out the work for you – we can also provide installation, commissioning and maintenance services through our highly experienced partners. For more information on our range of Mechanical Smoke Ventilation Systems, just fill in the ‘Contact’ form, and one of Be Safe Direct’s experts will be in touch.